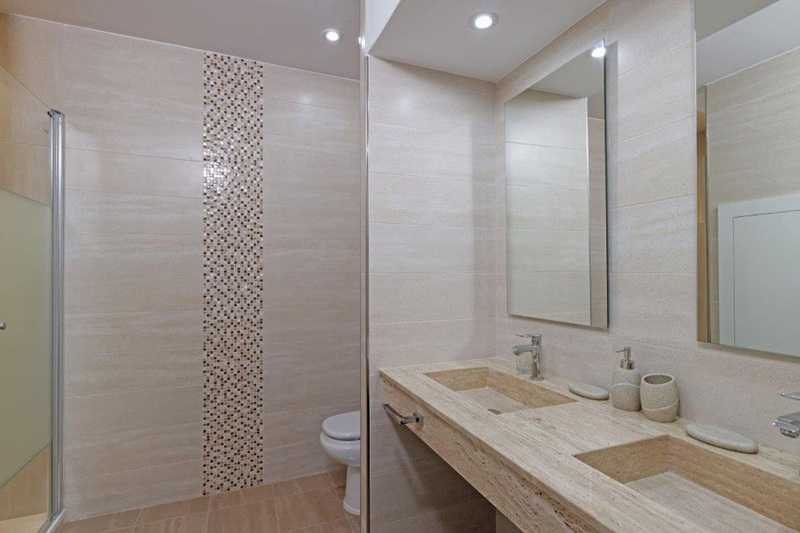 Refurbished two bedroom, two bathroom villa, with air conditioning. Use of lovely community pool. Free wifi. 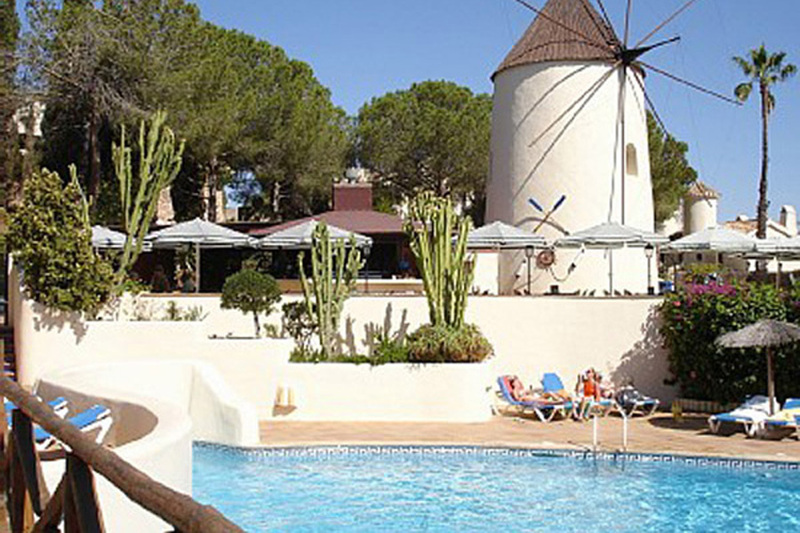 Los Molinos, translated as The Windmills, is a picturesque community in an elevated location in La Manga Club Resort. 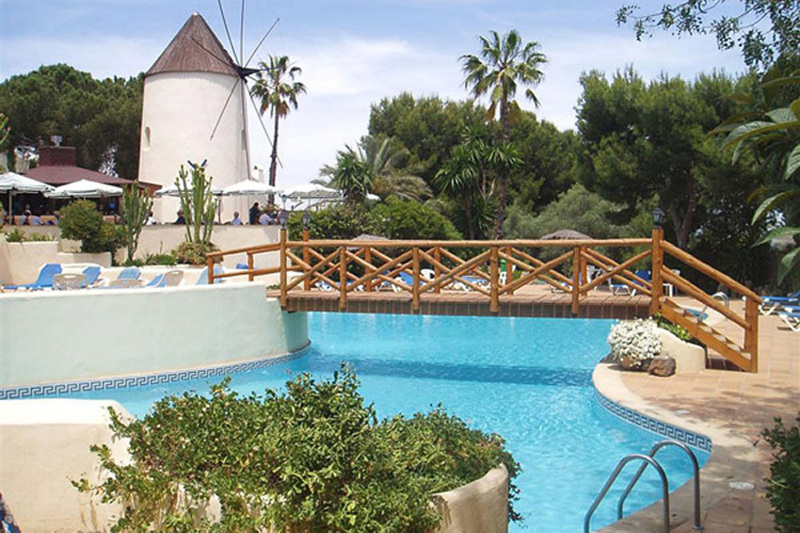 Its central feature is the stunning swimming pool with waterfall, separate children’s pool and poolside bar and restaurant (seasonal opening). 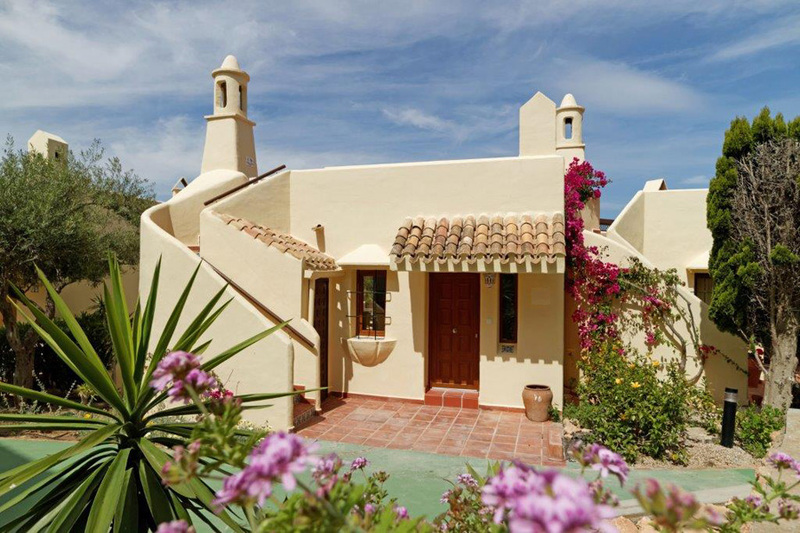 The villas in a traditional Spanish style, feature barbecue terraces with attractive views. 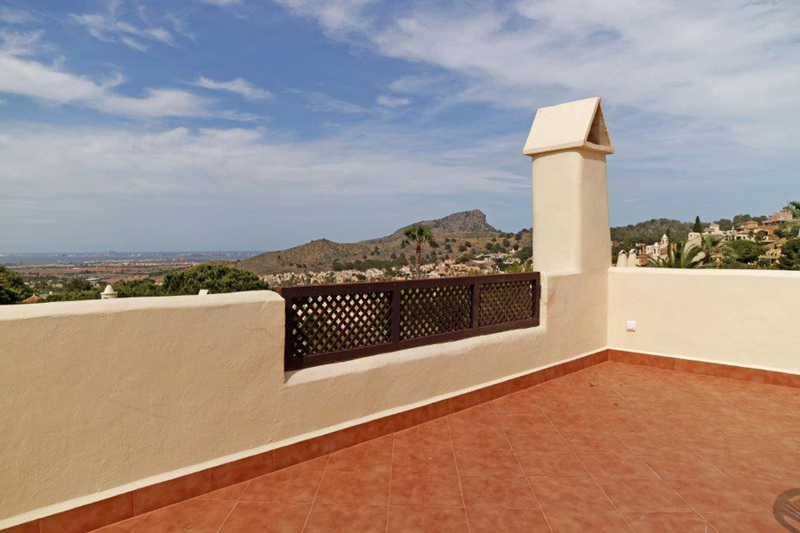 This two bedroom, two bathroom, semi-detached villa has been refurbish, has private terraces with barbecue facilities and lovely views. 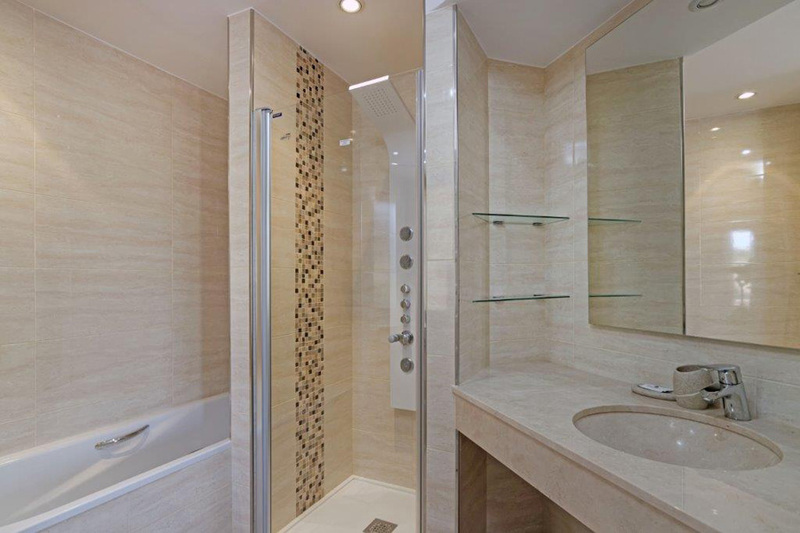 Air conditioned throughout, it also has remote control ceiling fans in the lounge and bedrooms. 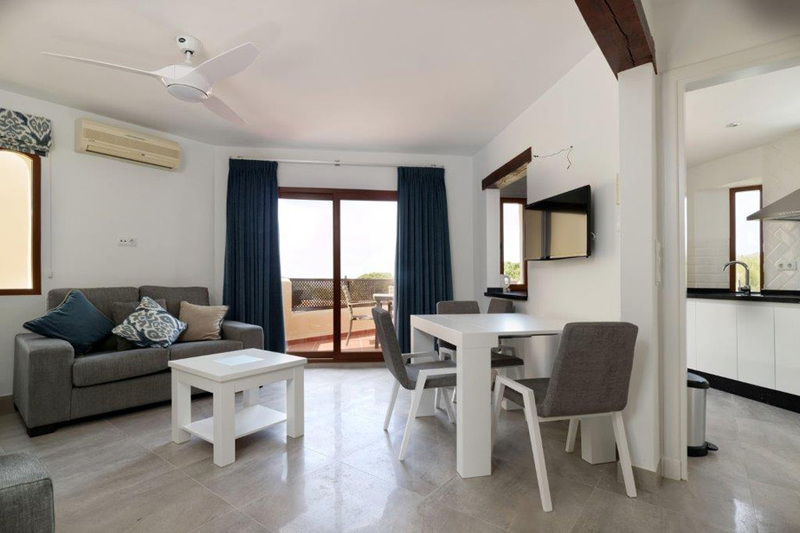 Enter into living/dining room which has a flat-screen satellite TV, DVD/CD player, ceiling fan and patio doors which lead to a terrace with barbecue, outdoor dining facilities and great views. 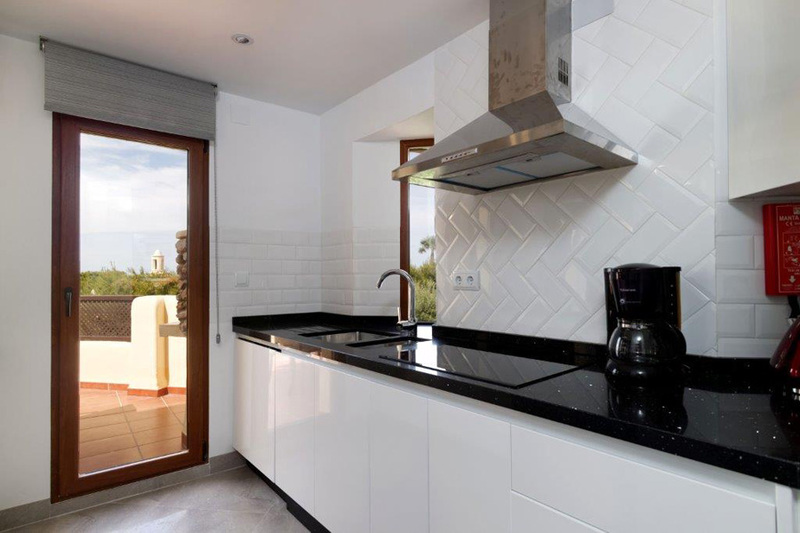 The modern kitchen is well equipped with a washing machine, dishwasher, microwave, oven, hob, extractor fan, fridge freezer and a coffee machine. There is a door from the kitchen to the dining terrace. Stairs down to the bedrooms. 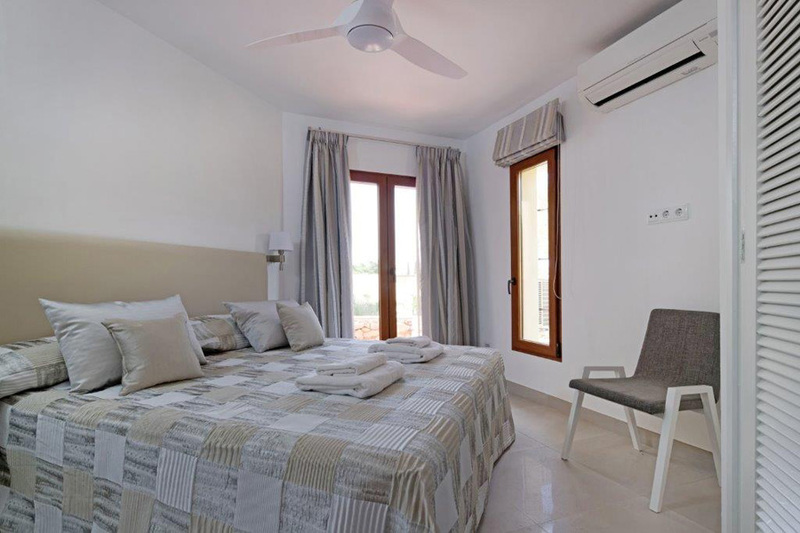 The master bedroom has twin beds (which can be made into a large double bed if preferred), a ceiling fan, wall mounted TV, safe and has a full en-suite bathroom with twin wash basins and an additional walk-in shower. 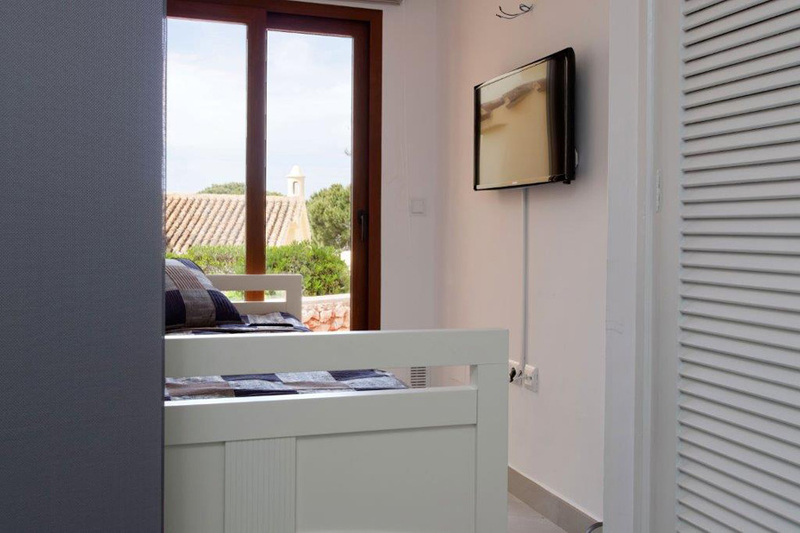 The second bedroom has twin beds (which can be made into a large double bed if preferred), a ceiling fan, wall mounted TV and use of the additional shower room with twin basins. 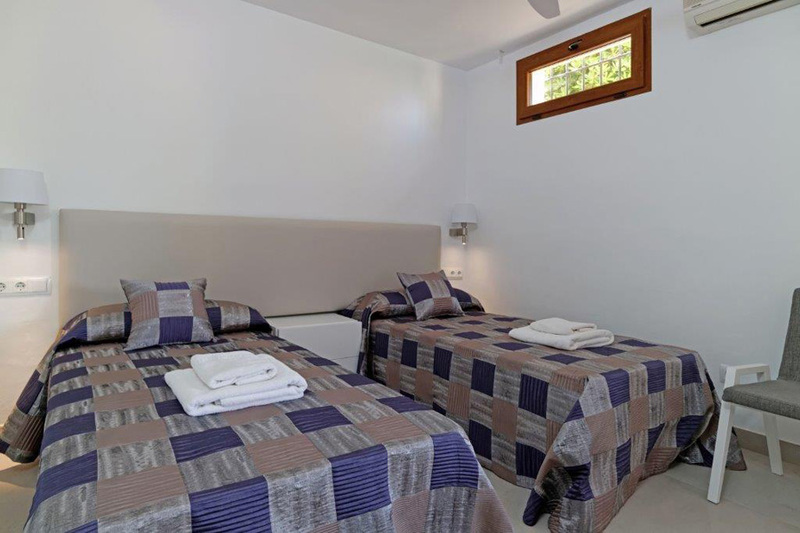 In the second bedroom is a “day bed” which can be used by prior arrangement at additional charge. Patio doors from both bedrooms lead to a small terrace. 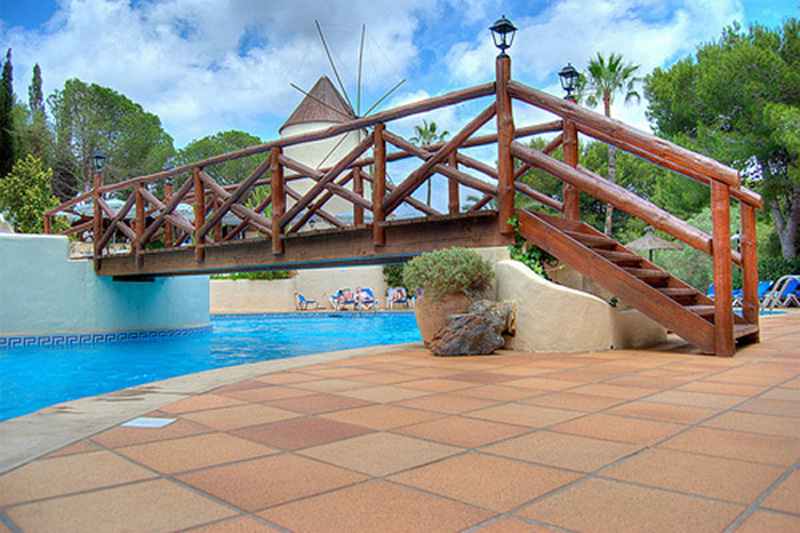 External stairs lead to the roof terrace with views across the Resort and beyond to the Mar Menor. 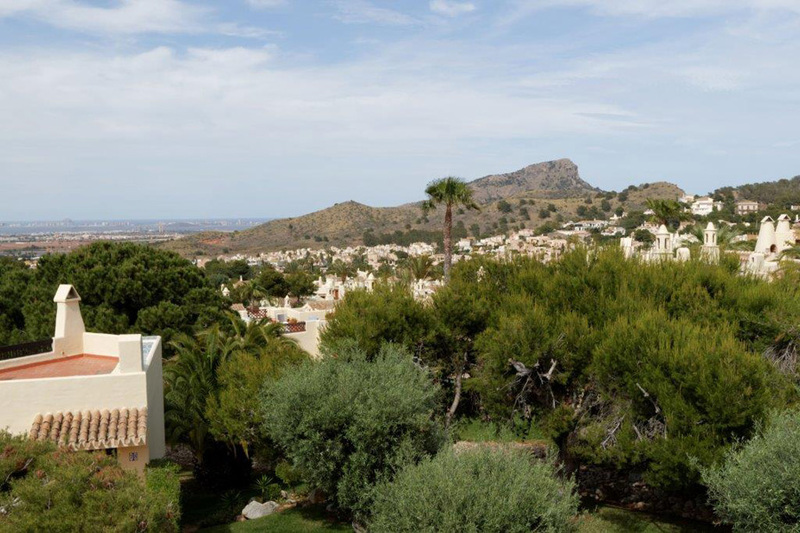 In a peaceful elevated location in La Manga Club Resort, air conditioning throughout is included in the price. 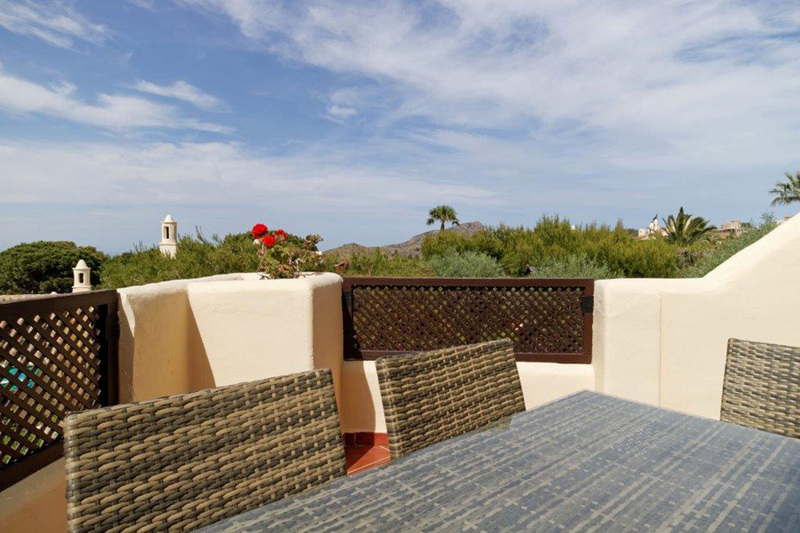 Private terraces and barbecue facilities. Use of large community pool and gardens.